Meet Nkhensani Mogale, a young phenomenal scientist and lecturer in the Clinical Anatomy division of the University of Pretoria. Nkhensani represents female scientists who have chosen to pursue the academia and research career paths. She is a fine example of the growth potential within her profession and how rewarding it can be. Recently elected as the Honorary Secretary of the Anatomical Society of Southern Africa (ASSA), it is clear that Nkhensani juggles many significant roles in her life. 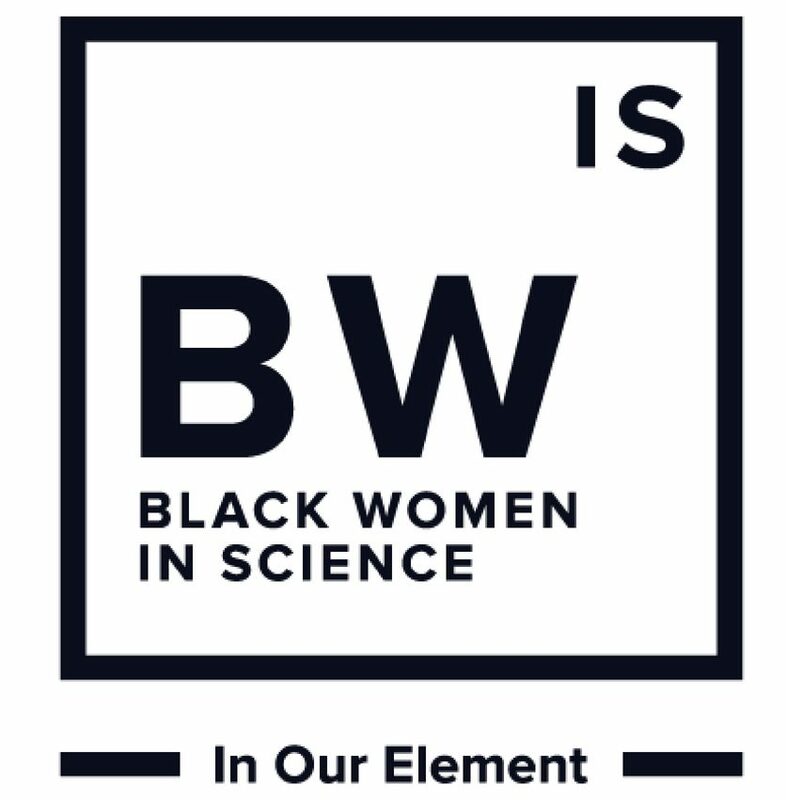 She epitomises the modern well-rounded female black women in science we are inspired by. We discuss the challenges of transitioning from the role of the “student” to “lecturer” and she shares her perspective on diversity within South African universities. In this article we honour Nkhensani’s late father Mashangu Harry Maluleka, a former pastor and lecturer, for playing a pivotal role in inspiring her choice to pursue academia, being a supportive parent and leading by example. Tell us a bit about your background, who is Nkhensani Mogale? Born Nkhensani Maluleka, I am a middle child of three (older sister and younger brother). My parents are both teachers in their own right, my mom is a now retired mathematics and life sciences teacher and my late father was a pastor and a ‘retired’ lecturer (he wouldn’t have agreed with me on the retirement bit, but at the time of his passing he no longer lectured in a formal setting of an academic institution). That may account for my initial interest in academia, possibly. I am a mother of a five year old little girl (Onaka-Ayana Mogale), and have been married to my husband (Mpho Mogale) for six years now. I believe in hard work and ascribe to Oprah Winfrey’s philosophy, ‘Nothing worth having happens without hard work’. That said I also feel after an achievement it’s important to stop, smell the roses, take in the scenery and move on to conquer the next mountain. What is your previous education, where did you study and why you choose that specific path? My post matriculation journey started at the University of the Free State where I completed a BMedSc (Human Biology). The initial plan was to eventually apply for MBChB as at the time I thought I wanted to be a doctor, all which changed in my second year when Anatomy became a major subject. You could say I fell in love with the intricacies of the human body, it has been a passion since. I went on to study a BSc Macro-anatomy (Honours) at the University of Pretoria, which was followed by an MSc Anatomy (UP). I am currently enrolled for a PhD Anatomy at the University of Pretoria. In 2008 I was employed by the University of Johannesburg (Department of Anatomy and Physiology), that’s where I discovered my love for academia which then became my chosen path. What is your current profession and what inspired you to pursue a career in research/academics? When I graduated from the University of the Free State I was fortunate to get a part-time position at the University of Johannesburg while I was furthering my studies. I stayed in this position for six years, which helped nurture my confidence as an aspiring academic, I was entrusted with a variety of roles during my stay at UJ. I was then employed into a full-time Junior Lecturer position by the then University of Limpopo (Medunsa Campus), this campus was later renamed the Sefako Makgatho Health Sciences University. I was later promoted to Lecturer, I stayed in this position for three years and three months. I have recently joined the Clinical Anatomy division of the University of Pretoria as a lecturer where I am hoping to further sharpen my skills and contribute to this field of science. I think academia chose me or maybe Anatomy chose me, I can’t explain it but I love what I do and the rewards that you get from the interactions with students are unexplainable. The other benefit of my job is that I get to do research as well, which is further enriching my role in the scientific community. What are the most rewarding aspects about your job? As people who relay information and help with guiding knowledge for further understanding by students, one of the greatest rewards is when students grasp the knowledge of what is being conveyed and when they move to the next year. The look on their faces when they finally make the connection, that is satisfying. Publications also give a certain level of satisfaction, to see your hard work documented and available for the broader community. As an Anatomist, the research end goal is to make a difference with your research to the broader medical field. How easy or difficult was your transition from being a student to a lecturer? It’s a different world and a bit of a mental shift from being the receiver of knowledge to now being the conveyor of knowledge. Life was definitely easier when I was a student. Academia also comes with its pressures, student expectations and the like. There is also a need to publish and meet certain targets yearly. I do love it though, and I guess that is what keeps me going. Can you give us a short summary about one of your research endeavours? What are the benefits of your research for society and the scientific community? My interest is in Clinical Anatomy, I want any research project that I embark on to have some clinical significance. The clinical research that I completed was looking at the anterior and anterolateral approach to hip arthroplasty, specifically looking at which method may be better for patient outcome and the anatomy related to the hip. From that research conducted, one article has been published so far, and we are working on a second article. My PhD research is looking at the clinical, anatomical repair integrity of the rotator cuff following open surgery, with the focus being on a South African sample. What my hope is for any research that we embark on, is that it will assist clinicians, who are ultimately the ones to apply the research. Do you think that there is diversity within the academic staff in South African universities? Are black female scientists being well represented? If not, how can we change that? I think its discipline specific, some sectors are more transformed than others. We are slowly getting the representation we need, it is up to those of us who are in the field to change things and make it better and more accessible for aspiring scientists. Mentorship also plays a crucial role, the ‘each one teach one’ slogan. You have had some experience teaching in Latvia, can you elaborate on your time abroad? I visited the University of Latvia, and with time made my way to the medical school. That was an enriching experience for me, meeting people who are just as passionate about teaching and thoroughly enjoy working with students. In my short stay I was asked to give one lecture to the first year medical students, as anatomy is a ‘universal language’ it was an enjoyable experience. My time at the university also taught me to appreciate our education system, we really are on par with the world. How do you successfully balance your professional and personal life? The trick is having a good support system, and learning to take time off to recharge. You need to learn to accept help as well, to avoid burn out. Consciously make time for the people in your life, especially your family. Work hard when you need to work but take time out to enjoy life as well. What is your message to young women aspiring to become lecturers? It needs to be a passion, anything done with passion and love does not feel like work and becomes more rewarding. It is important to be true to yourself, and know yourself so you do not sell your soul in the attempt to forge ahead. A good work ethic is important, because there will be times when you just want to throw in the towel. Work hard on making things a bit easier for those who come after you, they shouldn’t go through the same struggles. My father, Mashangu Harry Maluleka, lived by this slogan ‘If those who come after us complain about the same things we did, then we shall not have lived’. What do you do for fun? I Read (A lot! That’s my utopia). Favourite South African artist? Nomfundo Xaluva, The Muffinz, Thee Legacy, Thandiswa Mazwai, Lira, Dr Tumi, Zonke Dikana. Who inspires you? Several people, Chimamandza Achidie Ngozi, true to herself and unapologetic about her feministic ideas and ideals. My Daughter – Onaka-Ayana Mogale, makes me want to work harder and leave a dent in the world so her journey can be a bit better. Thuli Madonsela, I love her authenticity – she tells her truth in silence (you don’t have to be loud to be heard, listen more talk less). Mashangu Harry Maluleka, my late father – I have never known greater love than this, his absence in my heart is a reminder of the dent he left in this world. Favourite South African cuisine? Tripe and dumplings, curry anything (especially lamb curry), samoosa’s, oxtail and samp. Diving into academia can be intimidating however, everything is about perspective. Thank you to Nkhensani Mogale for giving us an insiders look into your career path and sharing your personal experiences. We are sure that there are many who share the same passion as you and are motivated to follow in your footsteps. All the best on your journey! See Nkhensani’s LinkedIn profile here.